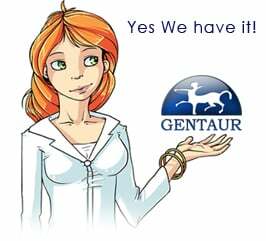 Gentaur antibody-antibodies.com The Marketplace for Antibodies : Processing of two homologous precursors, pro-neuropeptide Y and pro-pancreatic polypeptide, in transfected cell lines expressing different precursor convertases. Processing of two homologous precursors, pro-neuropeptide Y and pro-pancreatic polypeptide, in transfected cell lines expressing different precursor convertases. The processing of two homologous precursors, pro-neuropeptide Y (pro-NPY) and pro-pancreatic poly-peptide (pro-PP), was studied in four neuroendocrine cell lines after transfection: CA-77 medullary thyroid carcinoma cells, AtT-20 corticotrope pituitary cells, RIN2A-19 pancreatic endocrine cells, and NB1 neuroblastoma cells. Northern blot analysis indicated that the AtT-20 cells only expressed precursor convertase 3; in contrast, NB1 cells only expressed precursor convertase 2, whereas the RIN2A-19 and CA-77 cells expressed both enzymes. Despite these differences in expression pattern of precursor convertases the four cell lines were, surprisingly, indistinguishable in respect to their processing of pro-PP and pro-NPY. In all four cell lines, pro-NPY was almost completely converted to NPY, and, in all four cell lines, only around 50% of the PP precursor was converted to PP. The relatively poor processing efficiency of pro-PP was rather similar to the processing efficiency of the endogenously produced precursors in the respective cell lines, pro-calcitonin (CA-77), proopiomelanocortin (AtT-20), proinsulin (RIN2A-19), and pro-vasoactive intestinal polypeptide (NB1). At least in the CA-77 cells, NPY and PP were apparently sorted to the regulated secretory pathway, as upon stimulation with secretagogue the release of the transfected peptides increased in parallel with the endogenously expressed peptide, calcitonin gene-related peptide. Mutagenesis studies showed that on the N-terminal side of the di-basic processing site, the otherwise important difference in structure between PP and NPY, a proline for glutamine in position 34, was not responsible for the difference in processing efficiency. On the C-terminal side of the processing site, the efficient processing of pro-NPY could not be transferred to pro-PP by exchanging the whole C-terminal domains of the precursors. It is concluded that pro-NPY is processed more efficiently than pro-PP in all neuroendocrine cell lines tested independent on their expression of the two main precursor convertases and that mutagenesis data indicate that the structural element responsible for the efficient processing of pro-NPY is not located on the N-terminal side of the dibasic processing site.